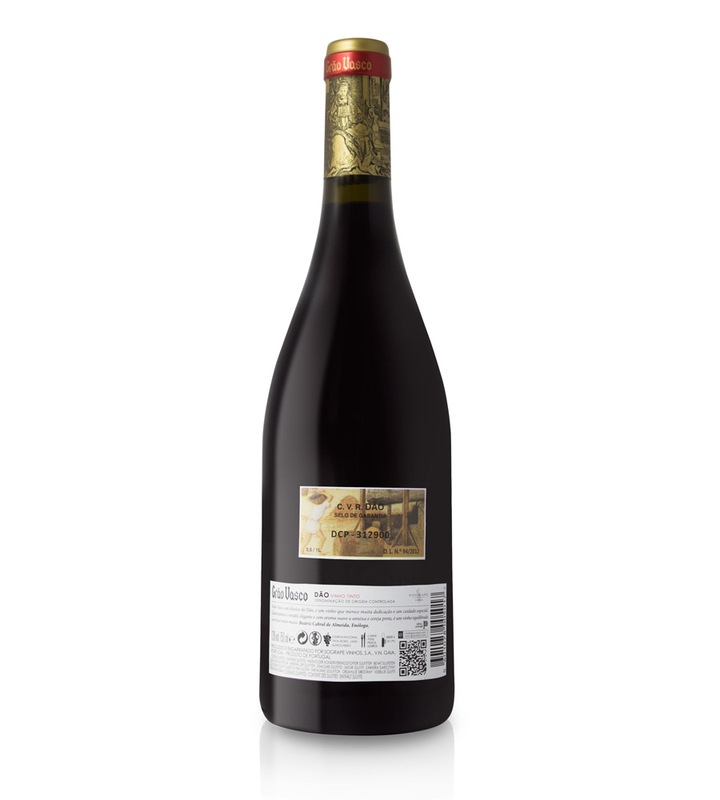 The Wine: Grão Vasco Dão Red 2012 is a light, elegant wine with the classic structure and flavour of the fine reds of this region, and a price point that makes it a perfect choice for everyday drinking, as well as for special occasions. Grão Vasco is a leading brand of the Dão region. 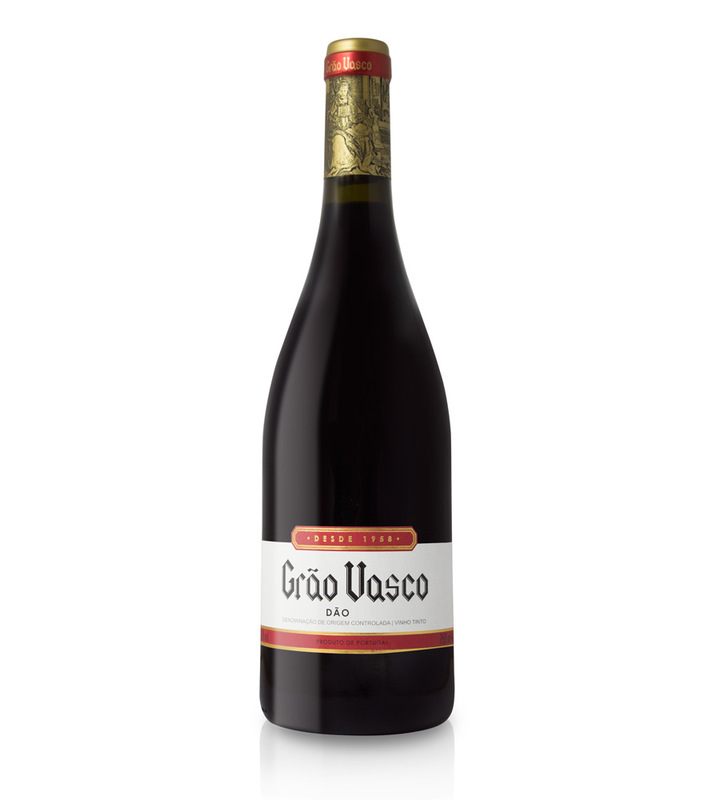 Tasting Notes: Grão Vasco Dão Red 2012 is bright, ruby-red in colour with an intense, fruity aroma, predominantly strawberry, plum and blackberry, combined with vegetal notes that give it freshness. This is an elegant, medium-bodied, remarkably well-balanced wine with good, fresh acidity, smooth, rounded tannins and a lingering finish. Winemaking: The grapes were destemmed and gently crushed, then conveyed by gravity to stainless steel fermentation vats with automatic temperature control and pumping over. The fermentation took around 5 days, during which the wine was pumped over numerous times to encourage gentle extraction of aromatic and phenolic compounds from the skins. It was susequently racked off into storage tanks and the solids were gently pressed in pneumatic presses to extract the wine they contained. 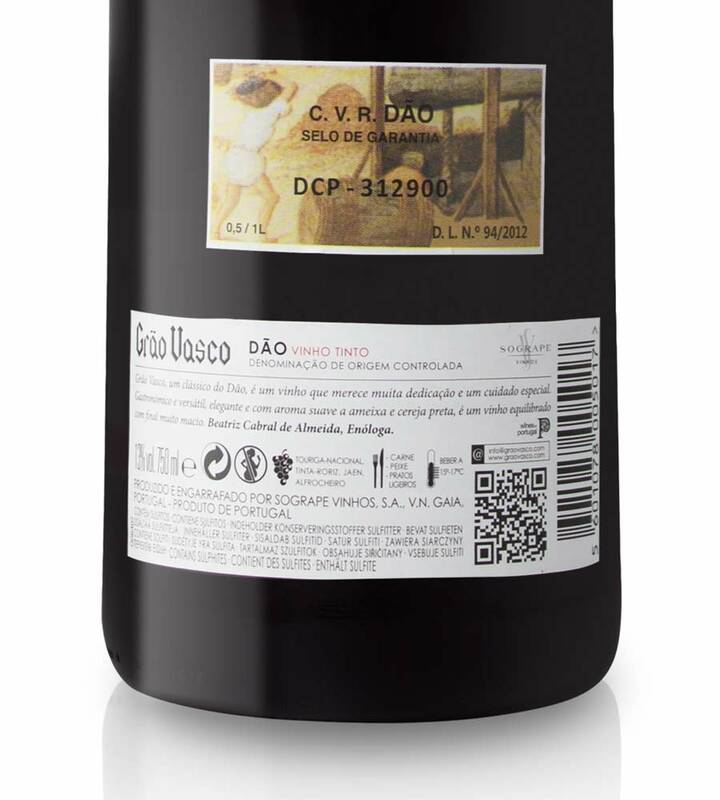 Maturation: After undergoing malolactic fermentation, Grão Vasco Dão Red 2012 was aged in stainless steel vats until bottling. Bottling is done in batches, in order to maintain the freshness of the blend. The bottled wine is aged for varying lengths of time before release. Sogrape Vinhos was born of the will and courage of a group of friends. In the difficult economic and political environment of 1942, they decided to stake everything on the visionary talents of one man. This man had the vision to create and develop an innovative wine company with a difference, one which could make and promote Portuguese wines on a global scale. This vision belonged to Fernando van Zeller Guedes, whose character and forceful personality paved the way for a successful venture that many believed was doomed to fail from the outset. The unparalleled foresight and vision of Sogrape’s founder, resulted in the creation of the first global Portuguese wine brand – Mateus Rosé. Sold in over 120 countries, this proved to be such a resounding commercial success that it provided the decisive momentum for the growth as well as affirming the leadership of which the Company is so proud. The willingness to innovate and the ambition to do things differently – along with respect for tradition and the values of ethics and responsibility – marked the birth of an organization that has proved capable of preserving its founder’s vision and adapting to inevitably changing times. Today, led by the third generation of the founding family, Sogrape Vinhos is ever more closely dedicated to meeting the founding objective: to bring the world quality Portuguese wine brands, with sufficient volume to satisfy the needs of different market segments. From the pioneering days of buying barrels of wine from small producers in the Douro for processing and bottling in a rented cellar in Vila Real, Sogrape Vinhos has steadily grown. Continuous investment has expanded and developed the company’s assets and workforce to such a degree that Sogrape Vinhos owns over 830 hectares of vineyards in all the key Portuguese wine regions. Nowadays, the full scope of Sogrape Vinhos is clearly demonstrated by the breadth and weight of its portfolio. At first glance, what immediately stands out is the presence of two major global Portuguese wine brands – Mateus Rosé and Sandeman as well as the prestigious wines of Porto Ferreira and Offley. Added to which are the renowned specialist brands that represent the major Portugese wine regions. Beginning with the most famous Portuguese wine of all, Barca Velha, the pride of Casa Ferreirinha (Douro) and continuing with the elegant wines of Quinta dos Carvalhais (Dão), the vibrant Herdade do Peso (Alentejo), the fresh Vinhos Verdes of Quinta de Azevedo and Gazela, and the multi-regional Grão Vasco, to name but a few. To tell the story of Sogrape Vinhos it is essential to retrace the origins and evolution of the plan conceived by this visionary man. And then to appreciate how his successors have inherited his values and pursued them with dedication, vigour and expertise to grow and develop Portugal’s leading wine company. Above all, the achievements of such a large team are promoted with pride and sustained by the ambition to innovate and enhance all that Sogrape Vinhos has to offer.